With a Latin name that translates to “very useful,” flaxseed has withstood the trials, tribulations, and digestive ails of history. But flaxseed’s role in history hardly stops at outerwear. Research shows flax cultivation for medicinal uses became a common practice in the Mediterranean region around 4000-2000 BC, while some claim its use dates back even further to the Neolithic Era. Some sources even claim that ancient Egyptians would carry flaxseeds in their medicinal pouches, and also that Hippocrates mentioned flaxseeds as an excellent cure for digestive troubles in his writings (1). Today, flaxseed is touted as a potent superfood, and for good reason. Below are some of the reasons you should include a dash of this powerful seed in your diet—after all, if it can preserve the dead, it just might have a few tricks up its sleeve when it comes to preserving the living. Flaxseeds are bursting with a class of antioxidant polyphenols called lignans. The powerful seed packs up to 800 times more than other plant foods (2). These lignans protect against oxidative damage (the DNA damage resulting from environmental pollution as well as poor diets that result in aging), and have been linked to improving cardiovascular health, colon and prostate health, and even cancerous tumors (3). Flaxseeds have lignans, which protect against damage to your DNA. In addition, flaxseeds also contain generous amounts of potassium, calcium, magnesium, and phosphorus, helping to fill in mineral gaps in our diets (4). When it comes to improving digestion, flaxseed shines as bright today as it did thousands of years ago. Flaxseeds are rich in soluble and insoluble dietary fiber, which can help prevent constipation. They can also act as a laxative to treat constipation due to their high content of mucilage gums (a portion of soluble fiber). Interestingly, these gums become viscous, or flowing, at an optimal pH range of 6-8 (the same range as found in human intestines). This mucilage plays an important part in many laxatives, making flaxseed an excellent natural laxative choice (5, 6). Many studies suggest flaxseed may play an important role in fighting cancers—especially of the hormone-sensitive variety, such as breast cancer. This is because when eaten, the lignans we talked about earlier convert into two substances in the gut: enterodiol and enterolactone. These substances show estrogenic activity, meaning that they can bind to estrogen receptor sites and actually reduce total estrogen activity. This is important when it comes to hormonal cancers, as high estrogen levels can promote their growth. Flaxseeds can help fight hormonal cancers, like breast cancer. 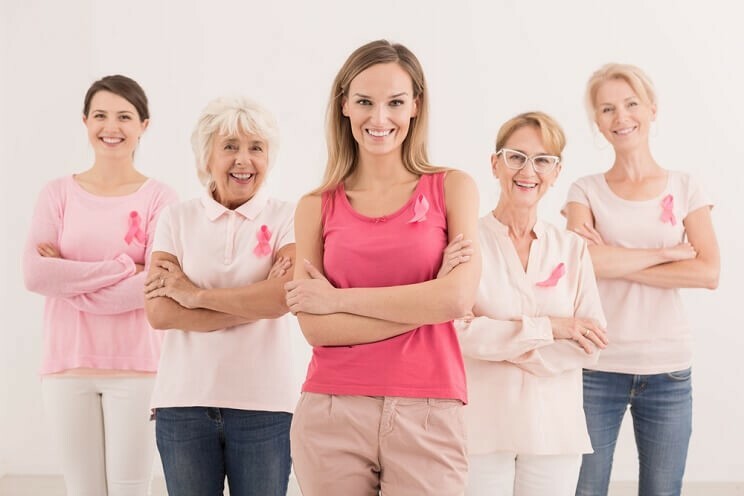 Looking at the evidence, one study mentioned that “high levels of plant lignan intake were associated with reduced breast cancer risk” in postmenopausal women, while another stated that, “flax lignans have shown promising effects in reducing growth of cancerous tumors” (7, 8). Flaxseed is rich in omega-3 fatty acids. Specifically, it’s high in a type of omega-3 called alpha-linolenic acid (ALA), which has been strongly linked to brain health. Studies have suggested a deficiency in this fatty acid can result in brain “deformations,” stating that: “Alpha-linolenic acid deficiency alters the structure and function of membranes and induces minor cerebral dysfunctions, as demonstrated in animal models and subsequently in human infants” (9). Since the brain is the organ richest in lipids in our body, it only makes sense that nourishing fats like ALA would dictate its health. One of the most eye-opening aspects about this essential fat is the fact that it, according to studies, can actually “condition[s] the visual and cerebral abilities, including intellectual” of infants (10). Flaxseed protein is made up of abundant amounts of arginine and glutamine, which have been shown to help support our immune system. Glutamine in particular has been studied for its ability to reduce mortality and infection through immune system support and anti-inflammatory actions (11). In addition, flaxseed also contains bioactive peptides that are powerful enough to inhibit the malaria parasite in culture samples (12). Remember the mucilage gum formation from flaxseed’s soluble fiber content we talked about earlier? It turns out this gum, alongside insoluble fiber, can help suppress hunger by helping to delay the emptying of food from the stomach (13). This helps you feel fuller longer and more satisfied after meals—one of the reasons why nutritionists constantly recommend foods high in fiber for weight loss. If there was ever a way to directly increase your risk for developing diabetes, high blood sugar would be it. Luckily, the lignans and fatty acids in flaxseed have been shown to offer protection against diabetes by inhibiting expression of a gene that codes for an important glucose-synthesizing enzyme in the liver (14). High blood sugar leads to diabetes. Flaxseeds can help regulate your glucose levels. One study found that “Supplementation of diet of type 2 diabetics with 10 g of flaxseed powder for a period of 1 month reduced fasting blood glucose by 19.7 %,” while another found that blood glucose levels decreased by 7.9 and 19.1 percent in patients consuming 15 and 20 grams a day of flaxseed powder for two months (15). 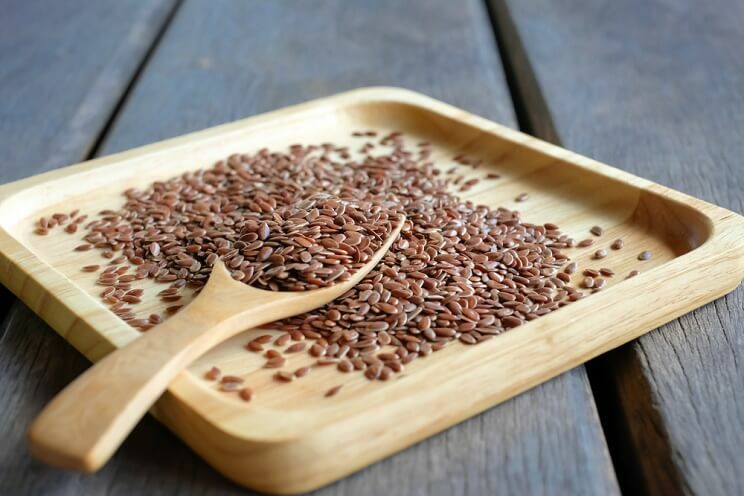 In Ayurveda, one of the most ancient systems of medicine still practiced today, flaxseed is seen as beneficial for the skin and hair, able to improve its luster and shine. 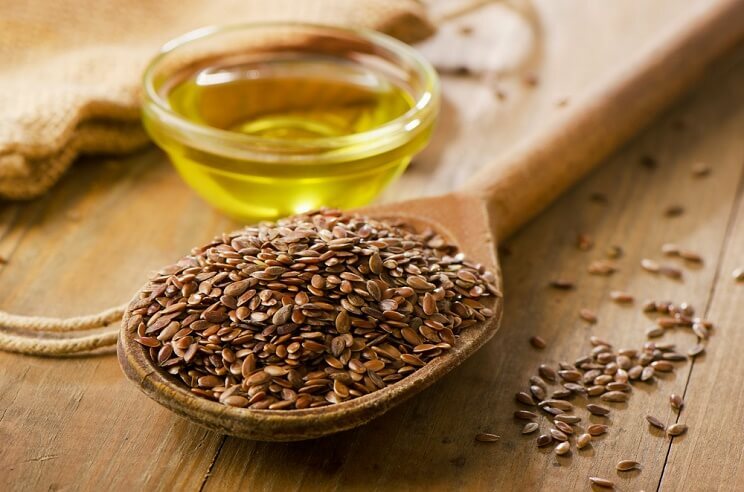 Modern research backs this claim, finding that the essential fatty acids in flaxseed indeed help promote hair, skin, and nail growth. On the opposite end of the spectrum, a deficiency of these essential fatty acids can result in scaly skin, “toad” skin, and inefficient wound healing (16). Flaxseed has also been a promising contender in the fight against high cholesterol. Studies have shown that patients who supplement with flaxseeds experience an improved lipid profile and plasma glucose levels. In addition to being able to improve cholesterol markers, it also appears that flaxseed improves “vascular relaxation responses,” which may reduce the chance for all kinds of cardiovascular conditions (17). There are endless ways to enjoy flaxseed, with some of the most convenient options listed below. Keep in mind that these suggestions are based on using ground flaxseed, which, it has been suggested, offer more bioavailability of nutrients as compared to whole seeds. Stir into coconut or almond yogurt. 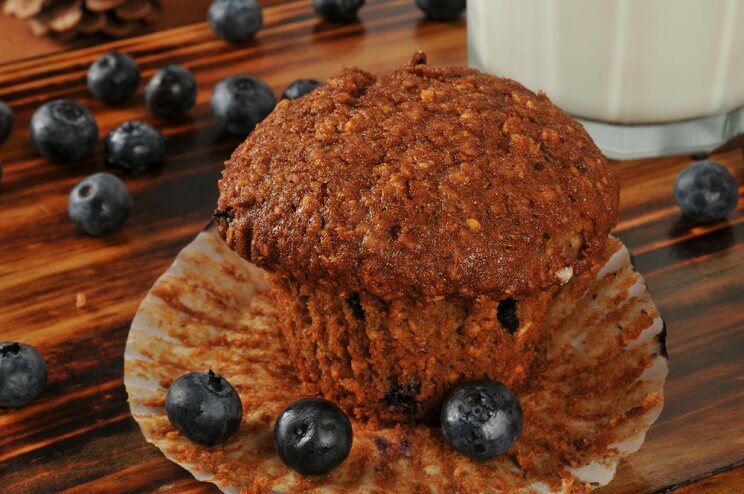 Add to Paleo waffle, pancake, and muffin recipes. Use as an egg substitute by mixing 1 tablespoon flaxseed with 4 tablespoons water in recipes. Use as a grain-free flour substitute. As you can see, flaxseeds are a powerhouse food, offering a multitude of benefits. Aim to add in 2-3 tablespoons a day into your diet for an essential fatty acid boost that will benefit every inch of your body.